Griffin Technology and Algoriddim present the DJ Cable specifically made for Algoriddim's DJay App for the iPad, iPhone and iPod Touch. "With Split Output mode enabled, djay sends the master output to the left channel, and the cue output to the right channel. This lets you cue songs through your headphones independently of the mix that's going through the speakers. At the same time, you can hear everything that's going on. No DJ would want to be without it!" The name Sonodyne might not be well known in the U.S. but overseas this company from India has been making Hi-Fi gear for over thirty years. Then in the 90's they started making products for Pro Audio enthusiasts. 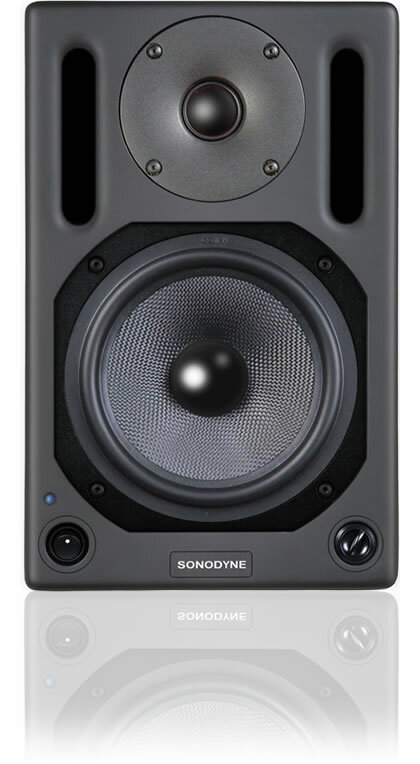 The SM Studio Monitor series is their first offering in the "West". The SM100Ak has received positive reviews from various audio professionals and periodicals. The SM100Ak is said to have excellent clarity, detail and imaging without being overly bright or harsh. "With a 6.5" driver nestled inside an aluminum enclosure, the SM 100AK monitors deliver a clean, articulate sound that paints an accurate picture of what you're tracking or editing. " Vented, through twin front-firing aerodynamic port. 4th Order, Linkwitz Riley, 1.8 kHz crossover freq. $630.00 each at Sweetwater Sound. 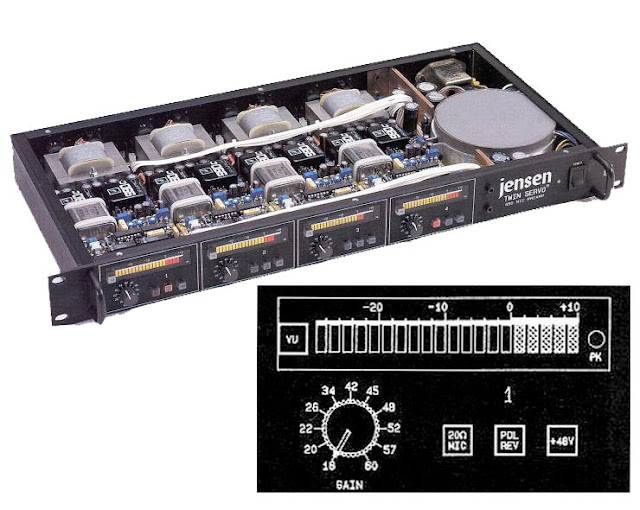 "The Jensen Twin Servo 990 Mic Preamp is considered the world's finest mic preamp by audio experts. It's the ideal integration of advanced design software, hardware, engineering know-how, and carefully controlled 'golden ears' tests. It has earned high marks for sonic performance since its introduction in 1988." JT-16-B Input Transformer. Jensen's best mic input model. Two 990 Discrete Op-Amps Per Channel. Faster, quieter, more powerful and better sounding than typical monolithic op-amps. Elimination Of All Coupling Capacitors From The Signal Path. Results in less degradation of the audio signal. JT-11-BMQ Output Transformer. Jensen's best line output transformer. Input Bias Current Compensation Circuitry And DC Servo Circuitry. Eliminates signal degrading coupling capacitors. Fully Sealed Conductive Plastic Gain Control. Provides smooth continuous gain adjustments from 16dB to 60dB. 20 OHM MIC switch or 20dB PAD switch. All Front Panel Switches Are LED Illuminated. Gold Plated XLR Connectors for maximum reliability. Ground Lift Switch On Each Channel. Helpful for eliminating ground loops. VU-1 meter. Very accurate and informative 20 segment LED meter, with separate Peak LED, for monitoring preamp output. Toroidal Power Transformer With Additional Shielding. Eliminates hum problems so no external power supply is needed. Universal Power Supply. Internal switch provides six primary voltage choices to accommodate use anywhere in the world. Chassis Ground Isolation Switch. Helpful for eliminating ground loops. Pin 2 Or Pin 3 High. Internal jumpers make changes in the field easy. The John Hardy 990 is a made to order unit that can be outfitted with up to four channels of high quality transformer input Mic-pres. 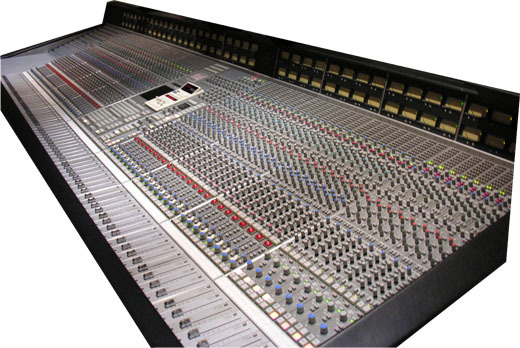 Prices vary from $1550 (single channel) to $4250 (four channels). It sounds great on a variety of sources, especially vocals and acoustic instruments. If you're looking for a sound that's clean with just a slight hint of color, John Hardy should definitely be on your list. Visit the John Hardy website for more info. Full time assistant engineering jobs costed me 80-100 hours a week and yielded me $400-$500 before taxes on average. I didn’t get any over time pay and neither medical nor dental benefits. After taxes I was averaging between $300-$350 per week. One week out of every month went towards rent and I had to survive on 3 weeks of pay. 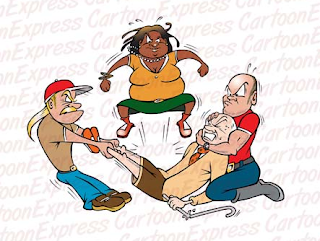 A lockout at a studio is 12 hours but that was 14 hours for me because 1 hour before start time is for setting up the studio and 1 hour after end time is for breaking down the room back to it’s normal state. For the remaining 10 hours out of the day was spent on travel time back and forth from home to studio, girlfriend time and sleep. She worked in retail and our hours didn’t align a lot.